Using a lightweight handheld ½" electric impact wrench and a 12mm six point socket, drive the auger deep into the soil. Tighten the nut and compress the load plate against stop washer below the load plate. Place the post saddle in the desired location. Tighten the upper nut to attach the saddle to the auger and load plate. HOW DOES FROST AFFECT THE ANCHOR? The Deck Foot Anchor™ does not heave up from the ground like a fence post that is literally popped out of the ground a little bit each year. The Deck Foot Anchor ™ remains anchored to the ground and moves with the soil as it expands up or settles down during freeze or thaw cycles. 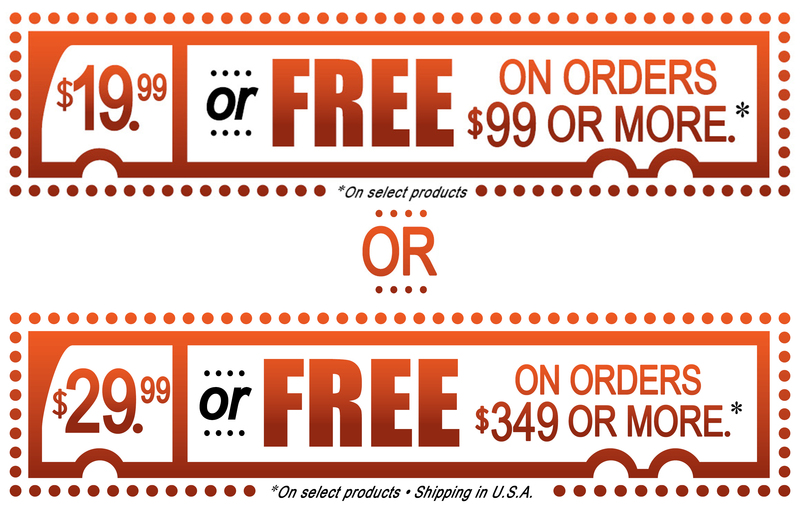 Use only with freestanding decks, unless the soil does not freeze in your area. 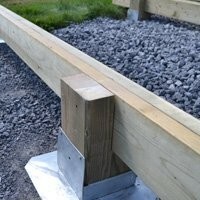 Terra-Shift refers to our unique friction release system in the bracket that protects critical post to beam connections on your deck in the event of any seasonal soil movement. 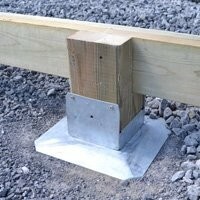 If any uneven uplift forces are imposed on your footings, posts will slide up or down independently as needed to protect and preserve the post and beam joints from separating. TESTED TO A MINIMUM OF 19,000 POUNDS! Independent compression load testing has confirmed that each Deck Foot Anchor can support a minimum of 19,000 pounds. This is far more than your soil will ever support. So the Deck Foot Anchor is not the weakest link. Your soil bearing capacity is the limiting factor. 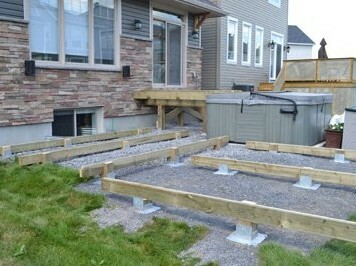 You can build your deck with joists as low as 2"-3" above grade if you wish. Simply hang the joists from the perimeter joist. If you want to extend the deck beyond the footing, extend the side perimeter joists 6"-10" and fill with blocking joists along the length. 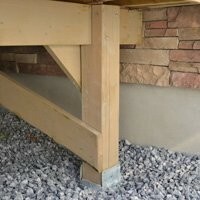 With proper bracing in both directions from 6x6 posts to beams, you can make a six-foot high freestanding deck as solid as a rock. It's possible to go even higher but it is not intended to support decks at a second-floor elevation. Decks supported by concrete blocks that rest on the surface are susceptible to uplift in high winds and have to be secured to the ground with a webbing of cables and ground spikes. The Titan Deck Foot Anchor™ holds your footings securely to the ground. 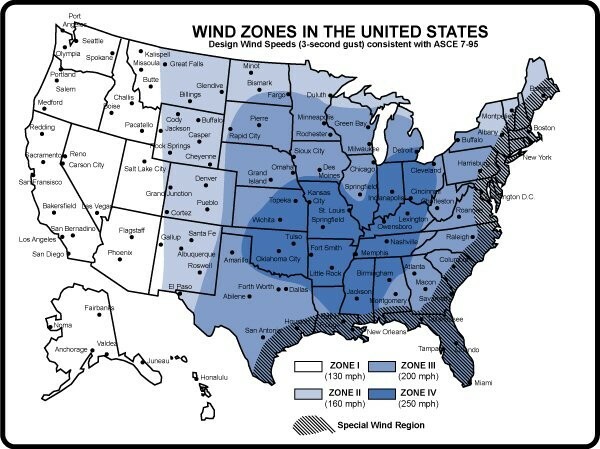 Almost 2/3 of the United States and parts of Canada are in high wind zones. For maximum uplift resistance, consider using the 36" auger. HOW MANY FOOTINGS DO I NEED? 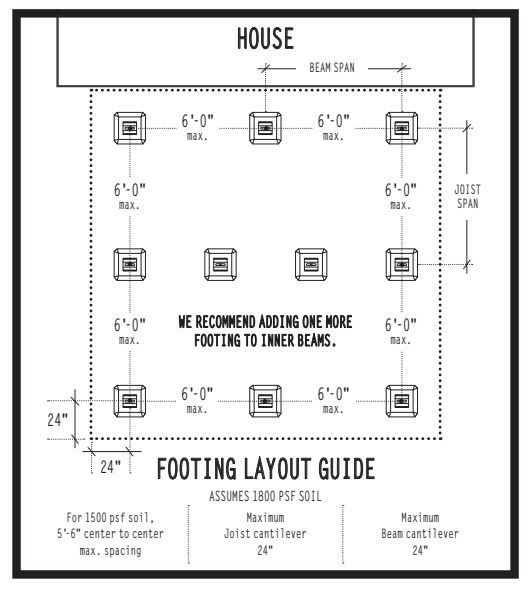 The Rule of Thumb is 6'-0" apart for each footing. This corresponds to a design load of 50 psf and tributary areas over each footing of 36 sqft. So the total load imposed on the soil below each footing would be a maximum of 1800 psf as the footing is just slightly larger than 1 sqft. If you have a large deck where three or more beams are going to be used, consider adding one additional footing along the interior beam. This is because the tributary loads of any structure are always greatest in the middle. 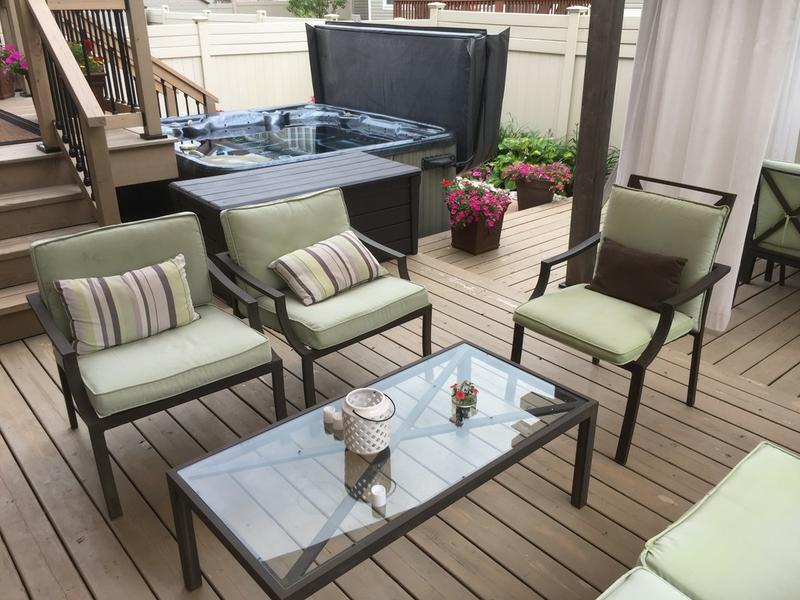 GET STARTED ON YOUR DECK TODAY! WARNING: Your experience with the Deck Foot Anchor is entirely dependent on your soil type. Rocks or roots or a weak impact wrench can prevent the auger from driving fully into the soil and an improperly sized socket can strip the driver head. Continuous torque for an extended period of time on the auger, once it has been stopped by a rock or immobile obstruction, can destroy the auger. The footing does not provide any significant lateral load resistance and should be used for compression load applications only. 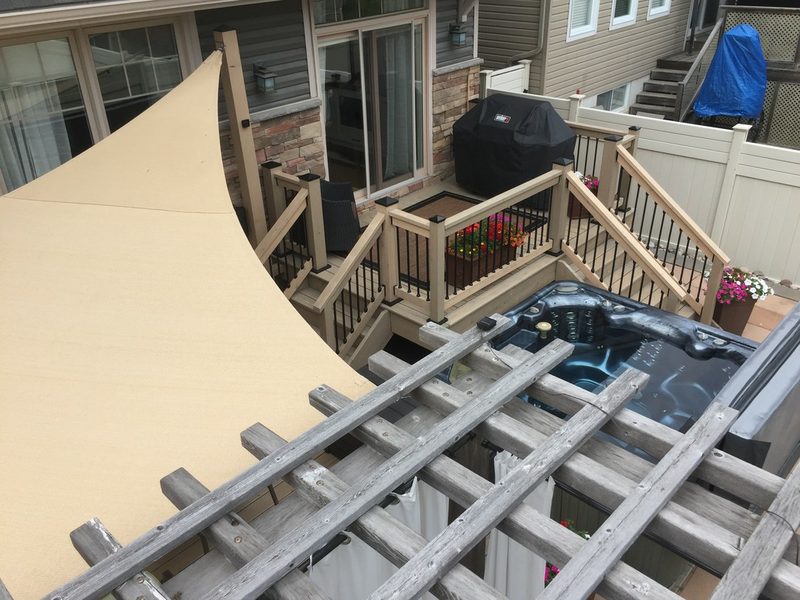 This was a large multi-level deck that really shows off the usefulness of the Titan Deck Foot Anchor™. Three separate areas. All intricately designed to wrap around a hot tub spa and create intimate areas. The first area was off the back patio door about 3-1/2' high. The others were lower level platforms over a gradual grade sloping away from the house. All 24 footings were installed before lunch hour. 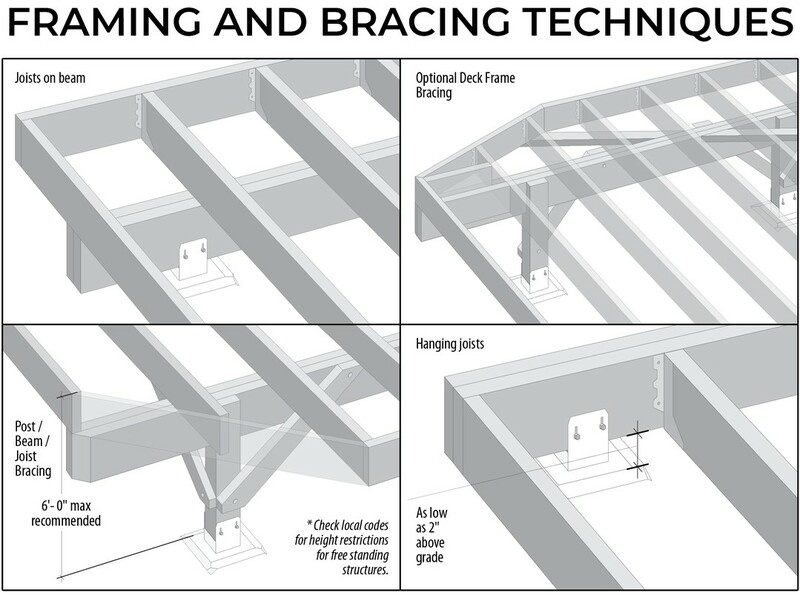 You can also hang joists from beam face to beam face if you really wanted to hide all the beams of a low-level deck. That is next to impossible to do with blocks. First, if we used concrete blocks we would have had trouble figuring out how to get the deck joist framing as low to the ground because they sit higher. Second, the deck would just loosely sit on them. 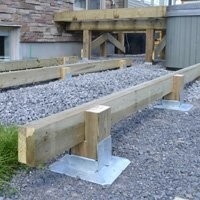 Here, each footing and post to beam connection is secured to the ground. Third, we didn't want to see cement blocks when you walked by the highest level deck.